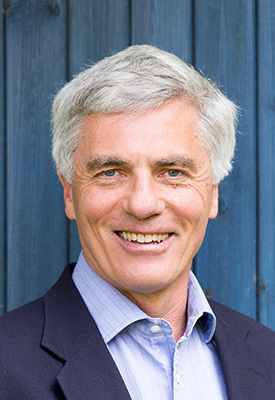 Richard is a solicitor-advocate who has worked independently in environmental law since 1989. He has fought, and won, several important cases in this "Cinderella" area of the law. These include establishing a basic principle relating to classification of Special Protection Areas for birds, seeing the proper application of important but under-used EU rules on environmental impact assessment, proving the unlawfulness of the government's regulation of night flying at Heathrow airport, and improving local authority accountability in planning decisions in a series of cases dealing with the need to give reasons for decisions. With this background he has been able to assist in all sorts of situations of concern to clients, including large and small development proposals, wind farms, telecommunication masts, aircraft noise, road, airport and port proposals, pipelines, industrial plants, and ombudsmen. Besides challenging local and central government decisions, work is increasingly involving claims against bad neighbours, particularly for noise pollution. Cases that have caught the public eye include one against the Ministry of Defence for excessive noise from Harrier aircraft training, and noise from the Alton Towers theme park. The work has taken him to most levels of court, including several cases in the House of Lords, the European Court of Justice and the European Court of Human Rights. Richard worked for eight years to 1999 as a specialist adviser on water resources to the Environment Agency and its predecessor National Rivers Authority, so has an in-depth knowledge of the legal and practical aspects of abstraction licensing in England and Wales, as well as related water law. He went to Trinity College, Cambridge, and qualified as a solicitor in 1978 with Farrer & Co. He worked with Sinclair Roche and Temperley, a City of London firm specialising in shipping work, before being seconded by them to a Japanese shipping client in Tokyo. He took time off to obtain a master's degree in environmental science and policy from Yale University and gain practical environmental consultancy experience in Canada, particularly in fisheries and geoscience. He is a member of the Law Society and the Institute of Environmental Assessment, a fellow of the Royal Geographical Society, and a member of the United Kingdom Environmental Law Association. He is a supporter of the Environmental Law Foundation which provides initial free advice to clients about environmental problems. He has given evidence to the House of Lords European Communities subcommittee on enquiries into enforcement of EU environmental law, and into access to environmental information. He is author of part of Halsbury's Laws, and its Encyclopaedia of Forms and Precedents, relating to water. In 2013 Richard was named by Planning magazine as one of the 100 most influential individuals in planning.